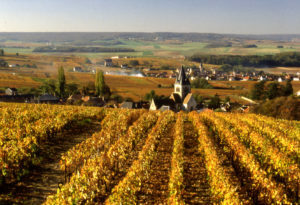 The Maillart family has been growing and producing their wines in Champagne from 1753. It is now the turn of the ninth generation to take the reins, and it’s Nicolas, who in 2003 returned to run the house. 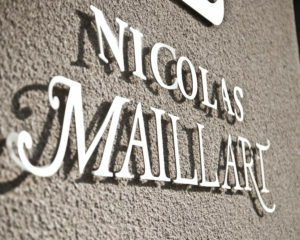 Its Nicolas who now continues an almost three hundred years tradition and maintains Maillart’s house philosophy: to produce the best values for Premier Cru/Grand Cru quality champagne in France. It was a great pleasure to host at Monterosso a very special Champagne a master class and tasting with NicolasMaillart. Nicolas started the master class with the history of Maillart champagne house and his vineyards. He explained Méthode Champenoise - the traditional method by which Champagne is produced. Then Nicolas continue with the tasting of Brut Platine Premier Cru NV. It’s a blend based heavily on Pinot Noir, made exclusively from Premier and Grand Cru vineyards. Exciting, very well balanced wine with excellent concertation and complexity. And House Champagne of restaurant Monterosso! To develop this exceptional Champagne, Nicolas Maillart harvest the grapes of old vines of 50+ years located on 3 plots of two localities, Les Chaillots and Gillis, located in Ecueil on the hillsides. This Champagne is produced only in the great vintages. We then moved on to Millesime 2012 Premier Cru Extra Brut, the blend of 50% Chardonnay and 50% Pinot Noir. A very delicate and elegant wine, it reserves a beautiful complexity and balance. We are proud to have this fine Champagne at Monterosso wine list. 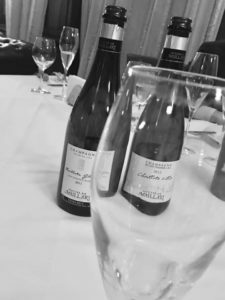 The pinnacle was Francs de Pied 2012 Blanc de Noirs PremierCru Extra Brut – a VERY special champagne made from 100% Pinot Noir. Grapes come from a specific area of UNGRAFTED old vines of Pinot Noir. The amber color and the nose immediately lead to black grape variety. But, unlike many other blanc de noir, here we were faced with an elegance and balance, that is never too thick or heavy, as well as incredibly fresh. 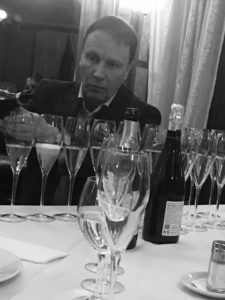 Probably the best blanc de noir champagne I tried in my life – close to perfection! We finished with a glass of Nicolas Mallart Rose Grand Cru Brut. This delicious Rosé Grand Crú was elaborated from 65% Pinot Noir and 35% Chardonnay grapes. This Champagne has an inviting salmon pink color. The initial impact is wonderfully fresh and vinous, followed by great finesse.